All in this is a VERY exciting release… I apologize it’s taken this long, but please bear with us. We’ll be release in the next couple of weeks! This entry was posted in Big Data, DynamoBI, Open Source on June 20, 2011 by ngoodman. Following up on my first post on an alternative, more SQL-eee metadata driven approach to doing BI on Big Data, I’d like to share an example on how we can enable easy reporting on top of BIg Data immediately for CouchDB users. We’re very keen on discussing with CouchDB/Hive/other Big Data users about their Ad Hoc and BI needs; please visit the forum thread about the connector. We’ve been working with some new potential customers on how to leverage their investment in Big Data (specifically Big Couch provided by the fine folks at Cloudant. In particular, this prospects users are thrilled with their dashboards and analytics that are baked into their application, but they need to be able to enable Ad Hoc, easy analysis on top of their data via a traditional reporting tool. Like any organization, IT is overworked and reports always seem to find their way to close to the back of the priority. Our initiative at this customer is about enabling easy access to their high performance and well tuned/architected CouchDB instance. I figured I could generalize what we’re doing at this prospect to a more general post, and hope that this post (and the software behind it, namely LucidDB) finds there way into the hands of others that are trying to do Ad Hoc and easy SQL based analytics on top of CouchDB. 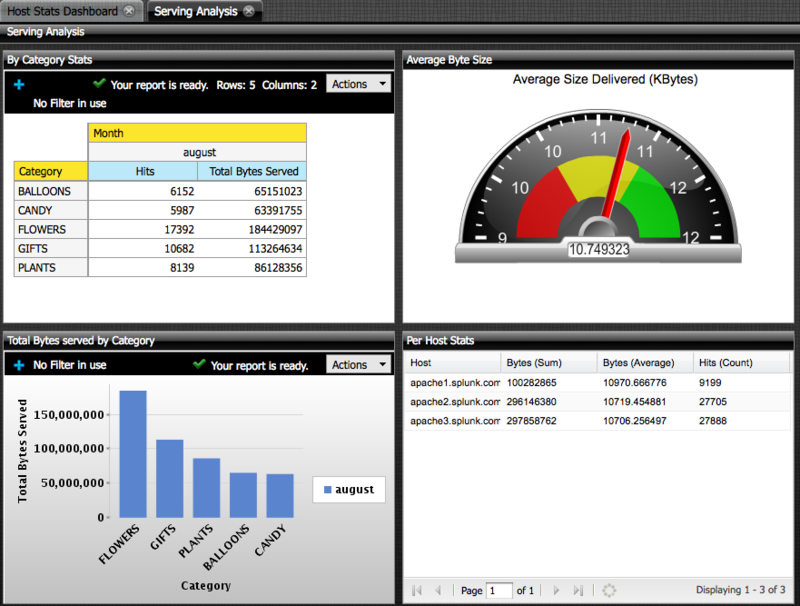 Direct access to LIVE, real time data in CouchDB is available to any tool that can talk to LucidDB (SQL + JDBC/ODBC). Our vision of Big Data BI requires that the user be able to “choose” which version of the data they want, easily. Cached and summarized inside LucidDB -OR- up to date, real time results from Big Data (aka CouchDB). This example focuses on the first part of the “hot or cold” level of aggregation ability; namely the live “HOT” piece. First, let’s look at our source data. 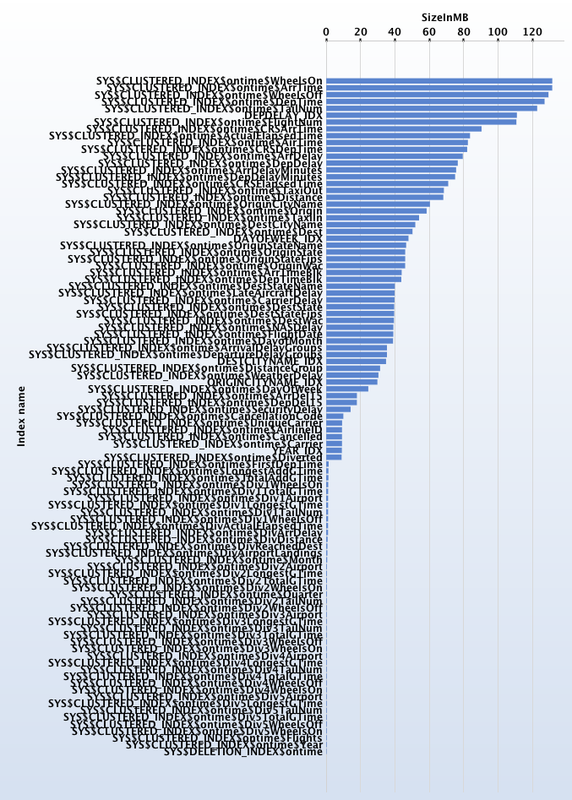 We’ve used the Federal Purchasing Dataset (a sample of 1000 records, since this runs on my laptop). Here’s a couple of screenshots from Futon that show the source data docs, and then the CouchDB View. NOTE: This view is definitely atypical. It is just emitting docs/flattening. it is NOT doing any aggregation with is what is almost always done with HTTP views. Our connector initially supports streaming data from the values, but we’re already working on getting proper support for the KEYs (and ability to push down group_level, etc). There’s another key piece of our philosophy on Big Data BI that is also present here. Notice that we’re not trying to “dumb down” the source, Big Data system? We’re not trying to strangely Map SQL onto some remote language so that you’ve lost some richness. CouchDB’ers take note: You can do all that you normally can and want to do in that view. We believe in effeciently accessing (group_level optimizations) not about reducing your abilities to write very interesting, complex map / reduce that returns your base level results. Let’s make these available, via ANSI SQL, in LucidDB. I’ll start with a vanilla installation of LucidDB (NOTE: I used a pre release version of 0.9.4 for this). Now LucidDB has the ability to talk to CouchDB, in a general sense. Let’s now configure and access our test dataset. Now, we’ve established a connection from our LucidDB installation to CouchDB; let’s now make that “all” view available via SQL. That statement looks complicated. It is, unfortunately, a little more involved than this process usually is. If you were talking to say, Oracle database, we can import and “discover” all this information (datatypes, column names, etc) from the driver. 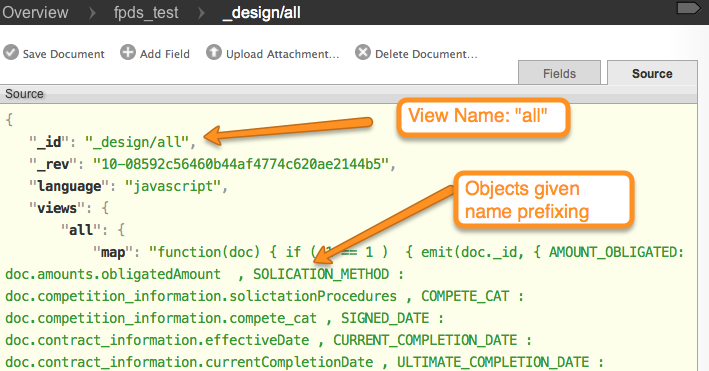 We have not done all this additional metadata work for the CouchDB connector yet; or actually, how to get ALL this information from the remote view as well. So, we’ve told LucidDB about the server, the view, the datatypes/fields. We’re all set to now do ANY SQL we like on top of it. How about doing some aggregations? We’ll cover creating the “local” cached copy of the CouchDB dataset in the next section. This entry was posted in Big Data, CouchDB, DynamoBI, Pentaho on June 8, 2011 by ngoodman. UPDATE: Think we’re right? Think we’re wrong? 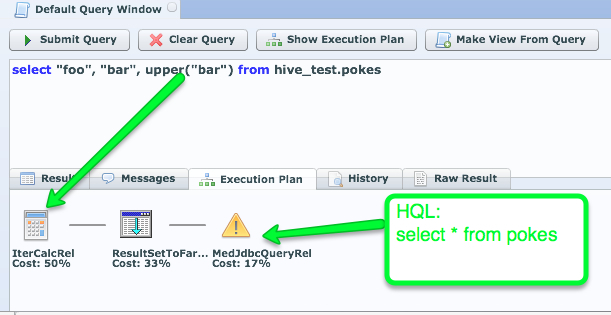 Desperate to figure out a more elegant solution to self service BI on top of CouchDB, Hive, etc? Get in touch, and please let us know! I won’t spend that much more time delving into the specifics of all the reasons that people are going so ape-sh*t over Big Data. It’s just a bunch of technology that propeller heads (I am one myself) sling code with that crunch data to get data into custom built reporting type applications. Unlike SQL databases, they’re NOT ACCESSIBLE to analysts, and reporting tools for easy report authoring and for businesses to quickly and easily write reports. Until businesses get to ACTUALLY USE Big Data systems (and not via proxy built IT applications) it’s value to the business will be minimal. When businesses get to use Big Data systems directly; there will be dramatic benefit to the business in terms of timeliness, decision making, and insights. And don’t get me wrong, there’s HUGE value in what these systems can do for APPLICATION developers. Sure sure sure. There’s Hive, and Pig, and all these other pieces but here’s the deal: Not a single set of technology has assembled, from start the finish, the single system needed to quickly and easily build reports on top of these Big Data systems. 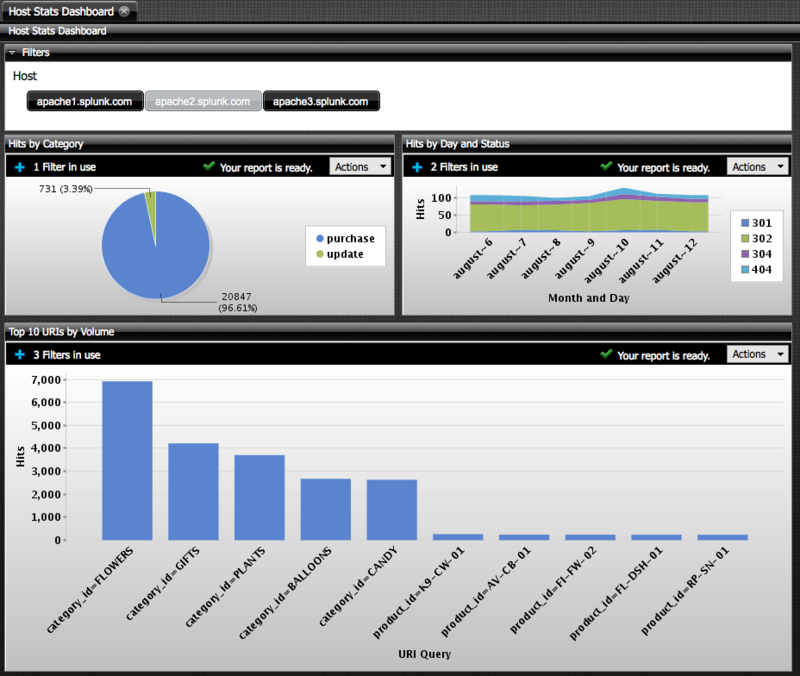 If you’re a BI vendor, it’s a new datasource that people can write apps and stream data into your reports. If you’re an ETL vendor, it’s a new datasource and you’ll simply make it practical. If you’re an EII vendor, it’s a new target for federating queries. If you’re an analytic DB vendor, it’s an extension point to do semi-structured or massive log processing. Metadata matters: Build a single location/catalog for it! Where did this report on my dashboard actually come from? When I see this thing called “Average Bid Amount” on my report, which fields back in my NoSQL datastore was that calculated from? Why bother with a separate OLAP modeling tool when you already know your aggregation methods and data types. Current solutions where “it’s just another source” of data that shove summarized Big Data into MySQL databases for reporting miss a huge opportunity for data lineage, management, and understanding. The total number of events can be represented and aggregated to many many different levels of aggregation. Some, very highly summarized figures (such as daily event counts) should be kept in memory and accessible extremely fast for dashboards. Relatively summarized figures (10s of thousands) should be kept in a database. Datamarts (star schemas) that represent some first or second level of aggregation (100m rows) should be kept in a fast column store database. The detail transaction data, and its core processing technologies (M/R, graph analytics, etc) are in the Big Data system. Current solutions provide only tools for data slinging between these levels of aggregation; none provide the ability to access and manage them in a single system. The “Business Intelligence” industry has been driving the application developer out of the required chain of events for building dashboards/analytic for years. In short, BI is a huge win for companies because it’s cheaper, helps get insights faster, and ultimately allows analysts to be somewhat self sufficient to do their job. Big Data has taken the industry back 10-15 years by making not just complicated reports but literally EVERY report be built by a developer! Current solutions allow for direct connect in reports to Big Data systems but you still have to write programs to access the data. Other solutions simply pull data out of Big Data systems and shove it at MySQL because of this exact reason! How easy is it to find and hire someone who can write SQL and build reports (in Crystal/Pentaho/Actuate/etc)? There are literally millions of people that can know SQL. Like it? Who knows. Know it, can use it? MILLIONS! How about hiring someone to build reports who knows the ins and outs of cluster management in Hadoop, knows how to write multi step programs and write application code to push that data into visualization components in the application? 10s of thousands, maybe. And 70% of them right now are in Silicon Valley. Trust me; these skills won’t spread outside of Silicon Valley in great numbers (or at least quickly). Simple reporting rollups (say categories of products/web pages, etc) have no place being “pushed” into the Big Data system. Having a system that is doing BI on top of Big Data needs a way to easily, in a metadata driven fashion, match up the Big Data with other reporting only data. Current solutions require complex ETL development and assemble it as part of that stream of data to shove at a MySQL database. For dashboards the user is almost certainly willing to use the previous load (last hours) data instead of waiting 17minutes to run in the Big Data system. For Ad Hoc analysis reports need to be speed of thought; big data systems can do OK here, but on smaller datasets the best choice is a columnar, high performance BI database (ahem!). For small summaries, or consistently accessed datasets it should be stored in memory. 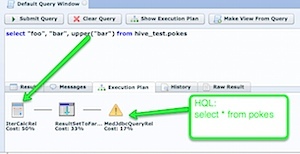 Current solutions require someone building reports to KNOW where the data that they want is, and then connect to an entirely different system (with different query languages such as MDX, SQL, and M/R) to build a report. We’re building a system, with LucidDB at the center, that is the most complete solution for doing real, day to day, full featured (adhoc, metadata, etc), inexpensive analytics on top of Big Data. Ok, Yawn to that. Since Hadoop and Big Data is hype-du-jour I don’t expect you to believe my bold statements. We’re releasing LucidDB 0.9.4 in the coming weeks, and this core database release will be the infrastructure for the new UI, extensions, and pieces of our solution. Ability to use inexpensive, commodity BI tools on top of Big Data directly and cached (Pentaho, BIRT, etc). Connect with your existing BI/DW system (via JDBC/ODBC). Easy, RESTful interaction with the server so our solution fits nicely with your existing systems. Looking forward to blogging more about it in the coming weeks; if you’re sick and tired of hacking together and spending tons of developer time on building reports on top of Big Data systems please get in touch with us. 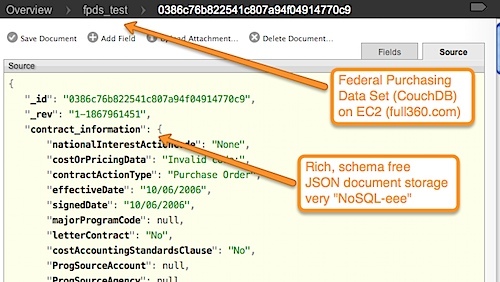 This entry was posted in Big Data, CouchDB, DynamoBI on June 8, 2011 by ngoodman. 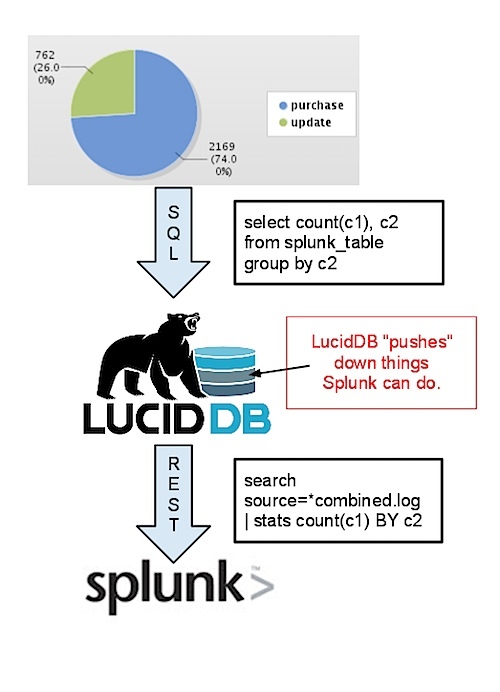 I’m often asked, as an initial question of why LucidDB can perform so much better than traditional row store databases like Oracle, SQLServer, DB2, MySQL is HOW? There’s a bunch of reasons and we have entire sections of our Wiki dedicated to the topic, but first and foremost is corner stone of almost every analytic database. We’ve changed the way we orient the data on disk. 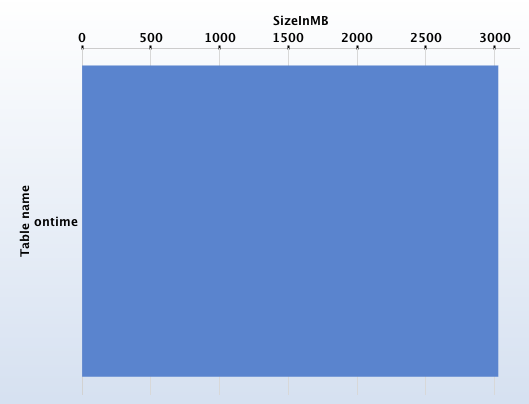 I’m not going to go into too much detail here, but I think as a start, a very simple example can help gain a little more understanding about how we can deliver an order of magnitude better performance over a row store. More to come, as well. 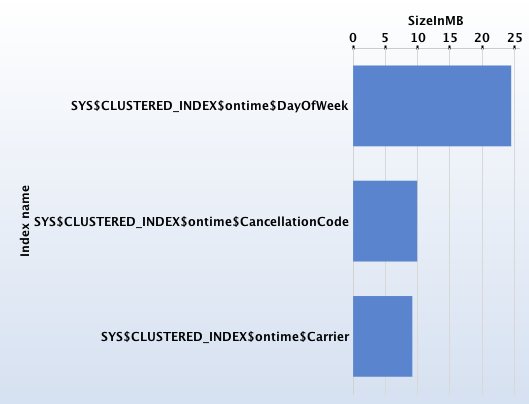 This query is typical – we want some aggregation (count of flights) grouped by several qualifying attributes (Carrier, DayOfWeek, CancellationCode). We need to examine (in our example dataset) approximately 63 million records to answer this question. In other words, we’re looking at all the data in a table to answer the query. 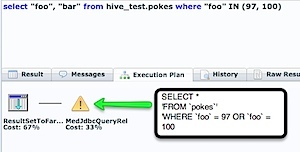 In a row store, even with indexes, a query that needs all the data from the database needs to touch all the data in the table. This means THE ENTIRE TABLE is accessed from an I/O perspective. Even though only a few columns or bits of data might be used, the ENTIRE row (that contains all the column data) is accessed off disk. Let’s take our 63 million record table, that has approximately 99 columns. Assuming (and this is bad assumption) that the row store takes the exact same amount of storage as a column store, the total table size is 3,025 MB. In the row store, the data stored in rows is stored in blocks and is relatively uniform (ie, approximately 1000 rows / blocks and stored in 63,000 blocks). In a column store, we store the columns separately. Our storage for the same 3,025 MB breaks down like this (total is still 3,025 MB). NOTE: Sorry for the graph labels! Sort of jumbled! As you can see, some columns still continue to take up a fair amount of space (120MB +) but other columns are much much smaller. 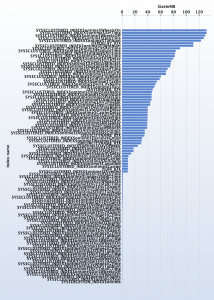 The smaller columns are ones where values are repeated often (Year, Carrier, etc). Here’s the gist. 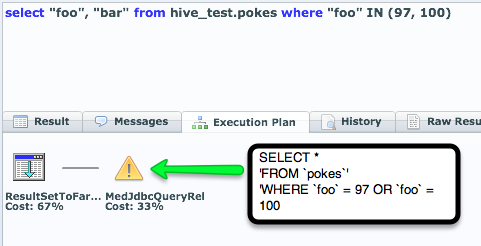 Remember our SQL query typical in BI systems? The SQL statement only access 3 columns (Carrier, DayOfWeek, CancellationCode). The column store is doing almost 1/100th of the work of the row store! 44 MB vs 3025 MB! It isn’t magic. It isn’t some magical breakthrough in CPU technology. We’ve simply changed how we’re storing the data on disk so that asking the same question (SQL) on the same data (63 million rows) does far less work (44 MB vs 3025 MB) to give the same answer. I’ll follow up with more on the this and other topics, but I hope this helps explain a very very basic reason of how LucidDB can deliver such fantastic improvements over otherwise very well performing OLTP databases like Oracle. This entry was posted in DynamoBI on January 31, 2011 by ngoodman.